Housebuilder Bellway Homes will be told to ‘scrum and get it’ after a senior Milton Keynes councillor approved the sale of a former rugby ground. There’s a cool £3.8million price tag on the 13.12 acre site of the former Greenleys Rugby Football Club site, off Field Lane, in Greenleys. 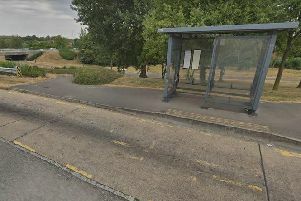 The proceeds are set to be split 50:50 between landlord Milton Keynes Council and 999 year leaseholder The Parks Trust. The site has already won a place in the Plan:MK development bible and is set to see 100 new homes and a state-of-the-art 3G sports pitch. Milton Keynes Council says the site has a “chequered history”. Housebuilder Bellway Homes has estimated that 6.31 acres of the site could host 100 new homes with a minimum of 87,000 sq-ft of accommodation. A planning application could be submitted within six months and would need to be approved by the council before work is started. Once the sports facility is completed, it will be to handed to the Parks Trust or to Wolverton and Greenleys Town Council to be managed. Milton Keynes Council’s cabinet member for resources and innovation made the delegated decision to go ahead at a meeting on Tuesday, April 9. The decision will go ahead if there are no objections within the council’s five day cooling off period.